Yehudi Menuhin, Baron Menuhin, OM, KBE (22 April 1916 – 12 March 1999) was an American-born British and Swiss violinist and conductor who spent most of his performing career in the United Kingdom. He became a citizen of Switzerland in 1970, and a British citizen in 1985. He is widely considered one of the greatest violinists of the 20th century. Yehudi Menuhin was born in New York City, United States, as Yehudi Mnuchin, to Jewish parents from what is now Belarus. Through his father Moshe Mnuchin, a former rabbinical student and anti-Zionist, he was descended from a distinguished rabbinical dynasty. In late 1919 Moshe and his wife Marutha (née Sher) became American citizens, and changed the family surname to Menuhin. Yehudi's sisters were concert pianist and human rights worker Hephzibah Menuhin and pianist, painter and poet Yaltah Menuhin. Menuhin's first violin instruction was at age four by Sigmund Anker (1891–1958); his parents had wanted Louis Persinger to teach him, but Persinger initially refused. Menuhin displayed exceptional talent at an early age. His first public appearance, when only seven, was as solo violinist with the San Francisco Symphony Orchestra in 1923. Persinger then agreed to teach him, and accompanied him on the piano for his first few solo recordings in 1928–29. When the Menuhins went to Paris, Persinger suggested Yehudi go to his old teacher, Belgian virtuoso and pedagogue Eugène Ysaÿe. He did have one lesson with Ysaÿe, but disliked his teaching method and his advanced age. Instead, he went to the Romanian composer and violinist George Enescu, under whose tutelage he made recordings with several piano accompanists, including his sister Hephzibah. He was also a student of Adolf Busch. In 1929 he played in Berlin, under Bruno Walter's baton, three concerti by Bach, Beethoven and Brahms. 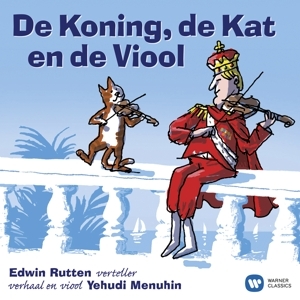 His first concerto recording was made in 1931, Bruch's G minor, under Sir Landon Ronald in London, the labels calling him "Master Yehudi Menuhin". In 1932 he recorded Edward Elgar's Violin Concerto in B minor for HMV in London, with the composer himself conducting; in 1934, uncut, Paganini's D major Concerto with Emile Sauret's cadenza in Paris under Pierre Monteux. Between 1934 and 1936, he made the first integral recording of Johann Sebastian Bach's sonatas and partitas for solo violin, although his Sonata No. 2, in A minor, was not released until all six were transferred to CD. His interest in the music of Béla Bartók prompted him to commission a work from him - the Sonata for Solo Violin, which, completed in 1943 and first performed by Menuhin in New York in 1944, was the composer's penultimate work.